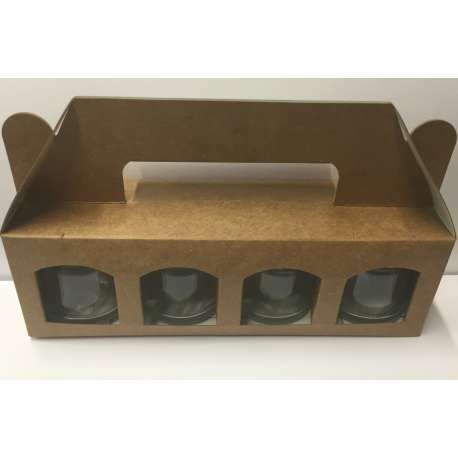 Four Jar Mini Gift Box. Natural with windows. Suitable for jars up to 53mm wide and 44mm tall. Our 1oz round, 1.5oz round and 1.5oz hexagonal jar will fit this box. Made from card, easy to assemble.